Why is that we don’t see wedding saree these days? Everywhere you search for wedding outfits, lehenga is probably the only option out there. Sure, brides love the bridal lehenga, and there is nothing more beautiful that that, but we have so many functions in an Indian Wedding…sure we can find a ceremony to wear the traditional Indian Saree too right? Yesterday my head started spinning. Quite literally speaking. After an early breakfast, I sat down in front of the computer to browse through wedding saree pictures. The idea was to publish this post yesterday, but close to 7 hours later I had in total 11 pictures, out of which 9 were south Indian wedding sarees. I have always since the beginning been a huge huge fan of sarees. I love it. They look beautiful on us Indians, accentuating our naturally gifted curves, and pretty much no one can carry off a saree better than us. But even so, the majority of the brides these days refrain from wearing a saree to their wedding and instead want 3-4-5 lehengas for all the ceremonies. In this post, I am here to give you some inspiration, may be some nudging to choose the Indian Wedding Saree over the done to death wedding lehenga. Mind you, I have nothing against the bridal lehengas, but sometimes I feel bad to see the wedding saree losing so much value so fast. Gone are the days when silk meant only for the mother of the bride and some south indian sister of the bride. Silk is slowly becoming a style statement, and there are brides out there who are opting to wear this traditional wedding saree for their hindu pheras ceremony. You want to try the hatke look, be different that 99% of the bridal population, then wedding saree should be your pick. I think these pictures look absolutely stunning, not to mention the brides look their happiest and seem to be having the time of their lives. I think this is by far the most innovative draping style I have seen on a traditional pure silk wedding saree. Doesn’t it look spectacular? Giving it a lehenga flare while sticking to the traditional look, this is the perfect example for a fusion indian wedding wear. From wearing a double saree, or a gujarati styled front pallu wedding saree, there are so many different ways in which you can drape your saree. While a bridal lehenga has all the magic because of the dupatta drape, in saree you can always play with multiple layers of fabrics and style your blouse differently, and of course you can also include a dupatta over a wedding saree. If you have your mothers or grandmothers antique jewellery, and they want you to wear it on your wedding day, the look that you will get with a wedding lehenga as opposed to a wedding saree will be very different. In wedding lehengas, the blouse, the dupatta and mainly the lehenga skirt have too much going on themselves. Somewhere jewellery loses focus no matter who agrees or not. It does happen in many cases. But sarees, the story is different. They are traditionally designed in a way to highlight and put the focus on the jewellery and the bride. Gone are the days when only premium bridal lehengas had the best looking embroideries and designs. There are so many budding designers out there making some stunning wedding sarees. Even fashion shows are all about bringing back the saree trend. So the saree is definitely here to stay. When was the last time you saw a prewedding knockout photoshoot done with the entire bridal gang squad in matching sarees? Probably never right? When was the last time you saw a fresh change in wedding fashion away from the same old designer frenzy bridal lehengas. Probably a long time back. So in case you wish to create a one of a kind wedding day look for yourself, try going back to basics. Its totally coming back in trend. #7 Banarasi, Kanjeevarams, Paithani and so on. The world of options ! Do you want colourful, or a single-duo coloured wedding saree? Is it silk that you like, or something a bit more modern? Depending upon your taste and style, there are so many options out there. From A listed designers, to stores like Nallis Meena Bazaar, everyone keeps wedding sarees. I can assure you finalising a wedding saree will be 10 times easier than choosing a one of a kind never seen before wedding lehenga. Guaranteed ! 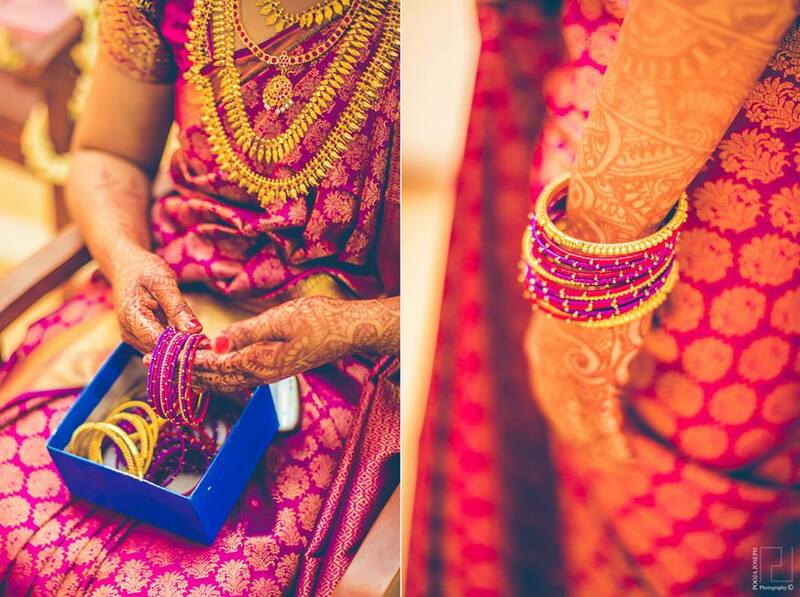 #9 You can easily reuse a wedding saree without any hassle as opposed to you-know-what ! I get so many messages daily on Instagram and on email, asking me to buy the used wedding lehengas. I really can’t understand why everyone thinks I am selling lehengas and outfits, but anyhow the point is it is difficult. Wedding Lehenga (A) takes so much space to preserve and store (B) is a major headache to transform into an anarkali, or saree, or a fusion wedding outfit. A saree on the other hand, is something you can totally reuse on any traditional occasions. Even though you end up spending crazy amount on your wedding saree, the returns is always positive as opposed to a wedding lehenga. I have a shop in America and want to do shopping in whole sale price plz by gmail. I don’t sell outfits directly. Sorry I can’t be of help on this. Thank you for the post! The information is really great! Saree is little hectic for the young brides and so while purchasing it one needs to be very careful! Namarta, is this blog is to just show what’s out there or do you sell the clothes too? I couldn’t agree more. Sarees have always had that traditional appeal which no other garment style can give. A lot of North Indian Brides are also moving towards traditional fabrics in Banarasi and Kanjeevarams which is such a delight to see these days. Wow great post. This is a perfect blog who want to how choose wedding sarees. I love reading this information. Thanks for sharing this.